You are on Drop-Off Point(s). Skip to the next section. There is a/are designated drop-off point(s). The drop-off point(s) is/are not signposted/clearly marked. The drop-off point(s) is/are located on the south-west corner of the stadium. 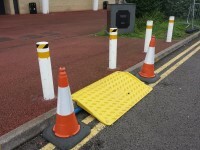 The route from the drop-off point(s) is accessible to a wheelchair user with assistance. There is a dropped kerb from the drop-off point to the outer concourse. 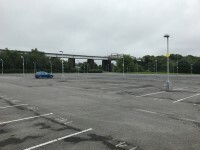 You are on Parking (West Car Park). Skip to the next section. 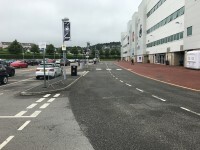 The car park is located opposite the Swansea University - West Stand. 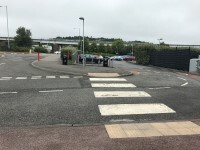 The car park is accessed via Brunel Way. There is/are 30 designated Blue Badge parking bay(s) within the car park. 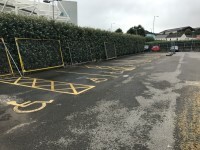 The dimensions of the designated Blue Badge parking bay(s) surveyed are 370cm x 510cm (12ft 2in x 16ft 9in). The designated Blue Badge parking bays are approximately between 15m and 27m from the outer concourse/walkway. 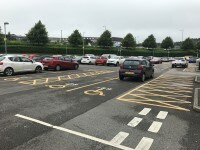 There are 30 parking bays in total which are allocated to Blue Badge holders, of which 30 is/are clearly marked. 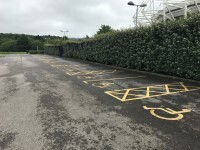 Parking spaces are available on a match-by-match basis, subject to availability. Parking is £10 per match payable on the day. Route Plan - West Car Park to the Liberty Stadium - please click here (new tab). 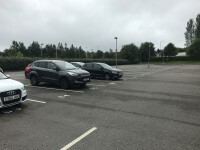 You are on Parking (North Car Park). Skip to the next section. 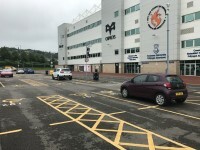 The car park is located opposite the Croeso North Stand. There is/are 32 designated Blue Badge parking bay(s) within the car park. 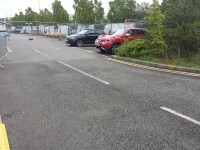 The dimensions of the designated Blue Badge parking bay(s) surveyed are 370cm x 480cm (12ft 2in x 15ft 9in). The designated Blue Badge parking bays are approximately between 20m and 50m from the outer concourse/walkway. 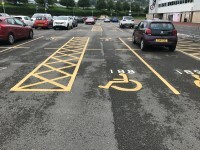 There are 32 parking bays in total which are allocated to Blue Badge holders, of which 32 is/are clearly marked. 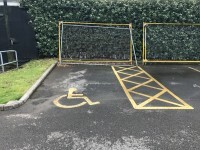 This car park is for home and visiting supporters. 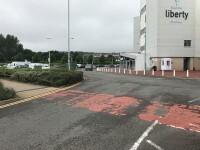 Route Plan - North Car Park to the Liberty Stadium - please click here (new tab). 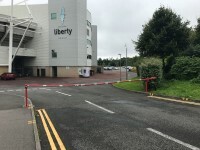 Getting to the Liberty Stadium link (new tab) - click here.